In order for your team to play in the Little Caesars Amateur Hockey League (LCAHL) or Adray Community Hockey League (ACHL), as Team Manager, you will need to collect the following Forms and Credentials from everyone who is participating on your team, including parents, and anyone who has anything to do with the minor children players on your team, such as locker-room monitors, etc. All these Forms and Credentials are then submitted to your Local MAHA District Registrar in order to Roster your Team with USA Hockey. 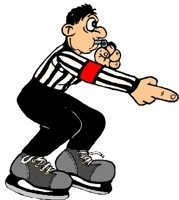 Incidentally, if your team wishes to participate in the MAHA State Tournaments, all of these documents (plus, additionally, All Game Scoresheets -- NOT just LCAHL -- All Scoresheets) will need to be re-submitted prior to Districts during your District Credentials Review process. MAHA can be picky when it comes to Forms and Credentials. MAHA requires "faithful" copies of your documents clearly showing all required information. Then, your proper organization of these team documents can help you complete the MAHA Rostering Process without issues. LCAHL provides Team Managers the Orange 3-Ring Binder to organize your documents. Some veteran team managers will collect and file all forms specific to each individual into a plastic page protector, envelope, or something similar, arranged appropriately in the LCAHL Binder. Other managers will file documents by type, alphabetically. Whatever your method, make sure you can find a specific document when your MAHA Registrar calls for it. So, let's review what documents you need to collect from everyone on or connected with your team in order to Roster the Team. Links to the various Forms or Credentials needed are provided in MAHA Forms. Q. How do I roster our team? A. Send an email with all players, coaches, & managers names and USA Hockey registration confirmation numbers to Eric Beauchamp. The USA Hockey numbers will be an alphanumeric code the get when they register. For example: 123456789SMITH. You can look up a registration confirmation number by clicking here. Gather all required forms needed for rostering and take them to the hockey office. Click here for the list of all required forms. Your completed roster should be emailed to you within 72 hours provided all documentation is in order. In order for your team to play a game you will need to schedule referees. They ask that when you schedule you submit all your games for the season. It makes it easier for them in scheduling for the season when all games are submitted versus a game or two a week in advance. Travel teams will also pay a scheduling fee up front at the beginning of the season. These rates are typically 10% of what you will spend for referees for the season. To schedule referees send an email to and in the body of the email include date, time, arena, sheet of ice, level of play, & length of game. They will reply to confirm. I suggest you save that email in a folder or print it and save it in your team binder. Below is an example of what should be included in the email to Steve. Please remember to bring checks to pay the refs to the games. At the end of the Fall Season a copy of your budget and finance tracker is required to be submitted to the Treasurer for tax purposes. 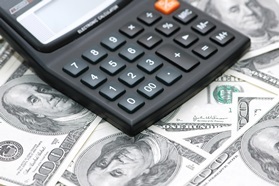 You can get a easy to use budget and tracker by clicking here or visiting our documents page.